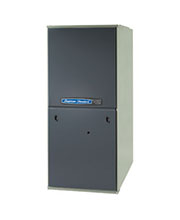 Get your high efficiency furnace now and refrigerated air later! :: Custom-Air, Inc. plumbing, heating & air conditioning company.Get your high efficiency furnace now and refrigerated air later! Did you know that Custom-Air, Inc. can install a new furnace and add a coil for future refrigerated air? That’s right, we can add a little box to the furnace and you are ready for a future refrigerated air conversion. No need to do it now, save up and do it later, but you can have your new high-efficiency furnace now!